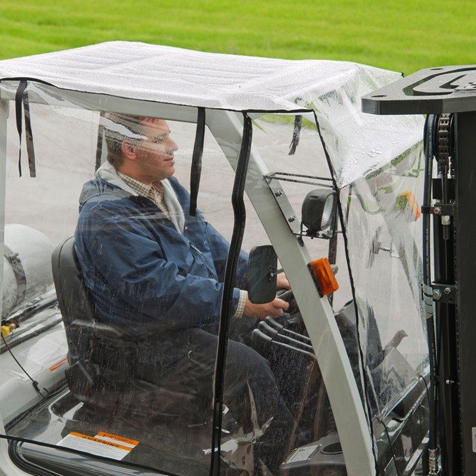 Forklift accessories like weather guards will help protect your forklift operators from the elements. 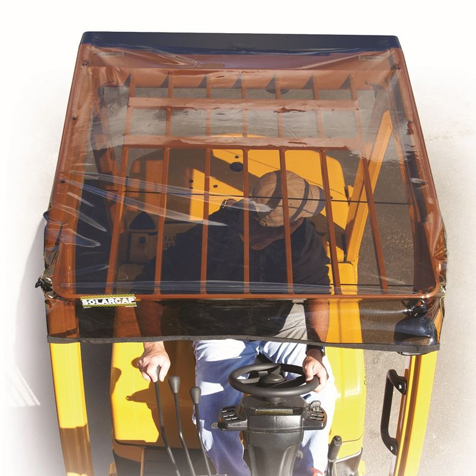 Keep your forklift operators warm, dry and shaded with these forklift enclosures and canopies. This easy to install rain guard attaches in seconds and will protect your operators from rain and snow. Durable vinyl plastic helps to maintain operator visibility while preventing wind and cold air from entering the operator compartment. This is a perfect item for those foul weather days in or out of the warehouse. Designed to cover a tire or wheel set-up in order to offer better traction in the snow. Specifically, snow chains are used on snow, but they are also effective accessories for travel on ice, or any frozen surface. 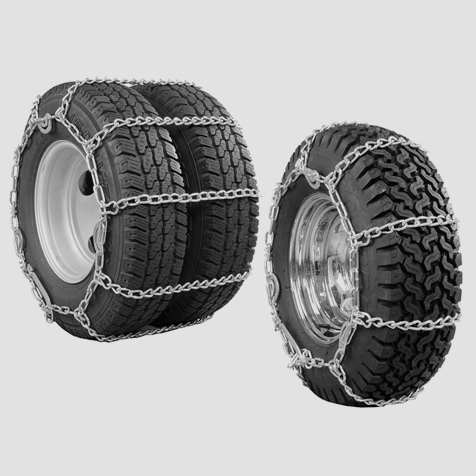 Several snow chain designs are available, everything from simple wrap-around tire chains, which are held tight in place by tensioners, to chains that only cover the tread pattern of a tire while being mounted to the outside of a wheel. Such options make snow chains possibilities for some of the finest performance. 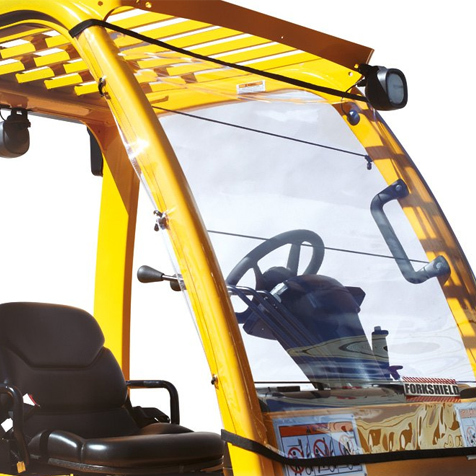 Universal for all the lifts on the market and can be used as a canopy or a windshield. Made from super-clear material great for protection from rain and snow when working. The forkshield attaches with built in bungee cords, just wrap around roof poles and attach back to itself.